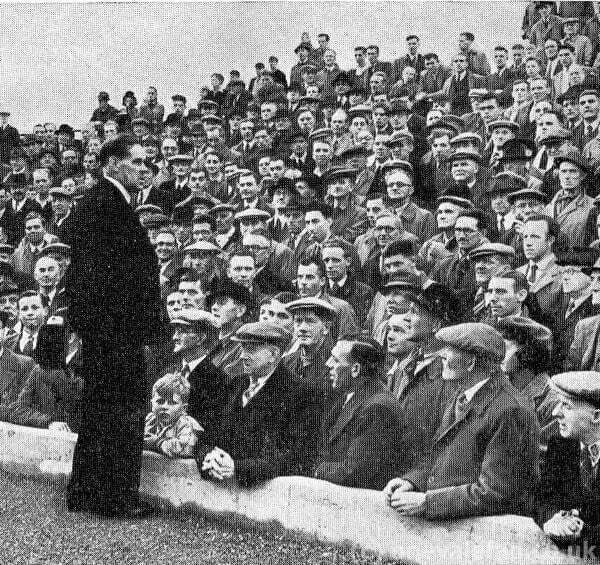 Pictured from around 1950 is a photograph of the then Port Vale chairman addressing the fans. 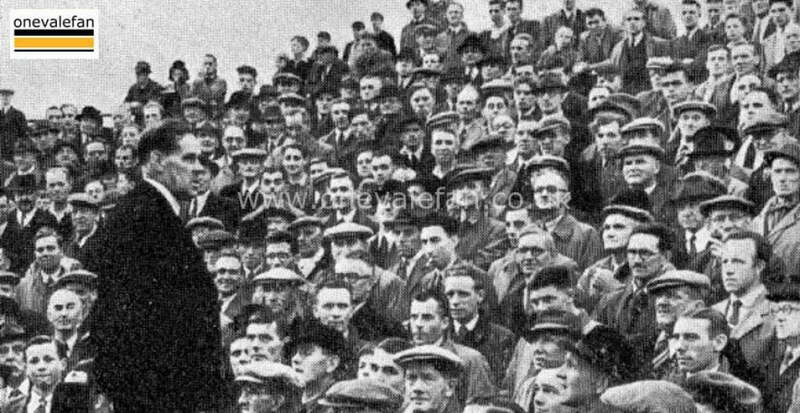 The occasion is the building of the new Vale Park stadium and from the photo it looks like Chairman William Holdcroft is addressing fans on the newly built terrace at the Burslem ground. 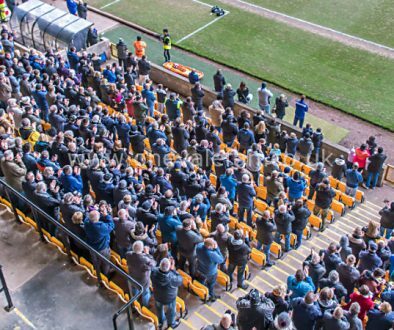 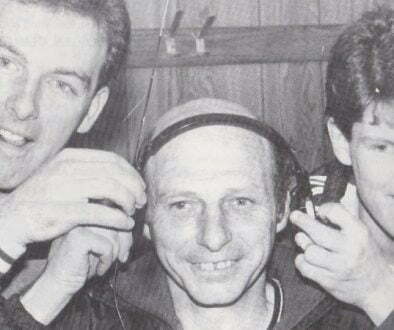 It’s likely to just before the ground was opened as it appears in the book produced when the stadium was opened (The Story of Port Vale book) .